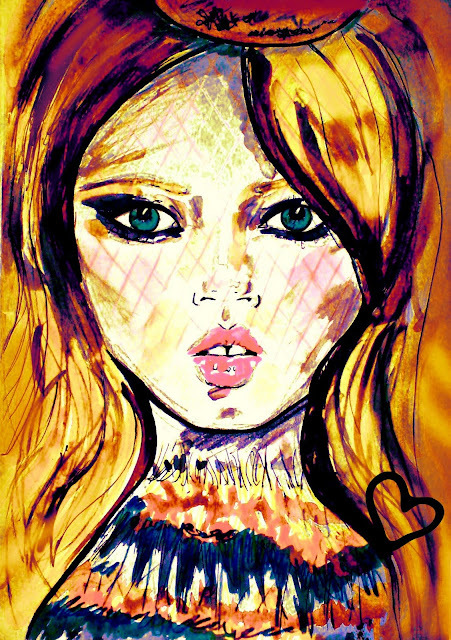 Well, this is another illustration based on Lindsey Wixson. I think she has a really interesting, and recognisable look, which makes her stand out from other models. I've been having a lot of fun making multiple versions, I especially like how the first one turned out. Thank you for all of your amazing comments recently. I really appreciate every one that is left for me! Oh my gosh, wow! These are so beautiful! Excellent job, Carly! wow she does have amazing facial features!